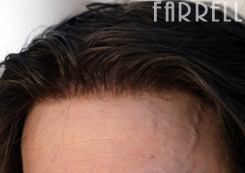 Everyday millions of men and women needlessly suffer the devastating effects of hair loss, whether medical hair loss or male / female pattern baldness Farrell California Hand-Made Custom Crafted Hair Systems give you all of your hair and confidence back. 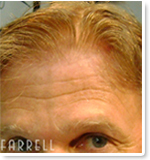 We have been hand crafting the highest quality hair loss hair systems imaginable for over 30 years. 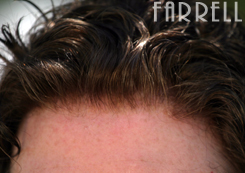 Farrell creates the most unique hair systems available! The most important part of any hair system is the hair line, you should look at the hair line to make sure it is invisible to the naked eye. On a properly made hair system the hair should get thicker gradually from the hair line. 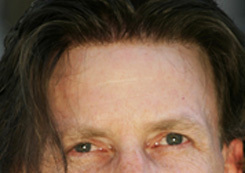 Most hair systems start at about fifty percent and go to eighty percent as the hair goes back from the hairline. Hair systems that have perfect color and texture and even last years are no longer the preferred hair system, today they are fundamental for every hair system. With the combination of technological advancement in materials and skilled craftsmanship Farrell California produces what can only be deemed as the absolute finest hair systems in Los Angeles and even California. If the hair in your hair system is too dense it simply has no room to move into certain hairstyles. A hair system needs to be made with approximately the same amount of hair tied into the base as the hair you have in the area that the system will be placed against. This is necessary because an undetectable hair system requires that a certain amount of scalp be seen through the hair system. We design and produce hair systems that breathe naturally. Todays California lifestyle is very active, so whether you are training for a triathlon or jogging on a treadmill, your system must be as breathable as you own hair. And our hair systems can be shampooed while being worn in the shower, they can be worn swimming in a pool or relaxing in a hot tub and of course they look great when you are sunbathing by the pool. Your hair system should look as good as growing hair would when damp or wet. Hair system base materials need to be thin and lightweight. If they are too thin they can wear out quickly. If they are too thick then they are too detectable to the touch. We will help you choose base materials that make sense for you and will give you the longevity you might expect our hand-crafted custom made hair systems that are comfortable and undetectable to both sight and touch in almost every circumstance. Making the finest hair systems in Los Angeles for over 30 years. Farrell California has a large base of clients from Hollywood, Beverly Hills and Los Angeles including a broad cross section of Hollywood’s entertainment community. We invite you to come and see for yourself how Farrell California Hair Systems can completely change your life, we have videos, photos and real life testimonials from clients who have made the decision to change their lives with a hand-made custom hair system. 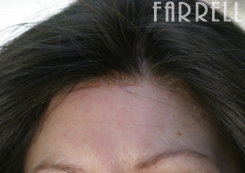 Come see the hair system videos and photos of real Farrell California hair system clients and book a no cost consultation in Orange County, Los Angeles or San Francisco today. I can't begin to thank you enough for servicing my systems so expertly on my recent visit to Farrell L.A. Susie and your remarkable technicians worked magic, fine-tuning and restoring them to good-as-new condition in very little time. It seems almost impossible to believe that I've been wearing Farrell systems for nearly ten years now. During that time I've been nothing less than delighted with their look and ease of wearability. Combine that with the patience, caring and sensitivity common to all your staff and you have the perfect formula for one happy client. Richard & Laura, my new hair is awesome! I cant believe how much more invisible it is than my other two systems which were the best I had ever worn. This new glue is awesome too! Thank you for making the time to cut in my hair system on such short notice and for making sure the hair was ready for my Dad's wedding. Some of my family who saw me asked if there was a cure for Alopecia now and I said yes... Well this is LIKE a cure. LOL! So I wasn't lying to them. This new hair is the next best thing to a total cure.